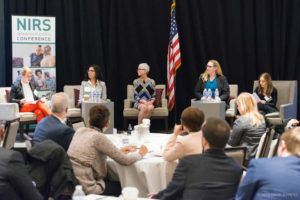 On February 26-27, 2018, NIRS held its Ninth Annual Retirement Policy Conference, Refocusing Retirement: Taking the Long View, in Washington, DC. Access video of the conference here! At the conference, we examined the issues like Americans’ views of the retirement crisis; rethinking retirement in a changing political landscape; and creating a bipartisan plan to ensure retirement security for Americans. Watch videos of the conference on Youtube here!